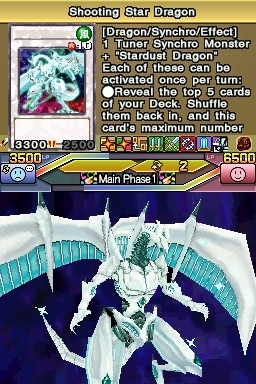 The new game is based on the Yu-Gi-Oh! 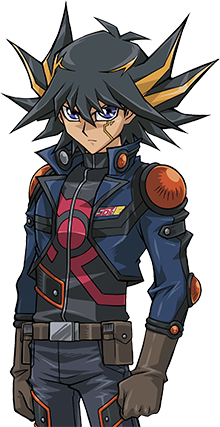 5D’s TV series and is also the official video game of the Yu-Gi-Oh! World Championship in 2011. Skilled duelists will be invited to show their prowess at a series of events, with the very best players eventually picked to compete in KONAMI’s World Finals. 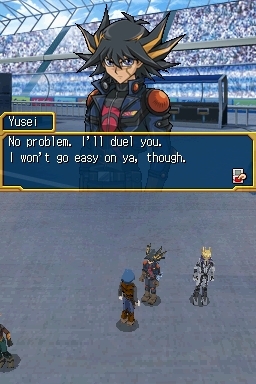 As such, multi-player competition plays a big part in Yu-Gi-Oh! 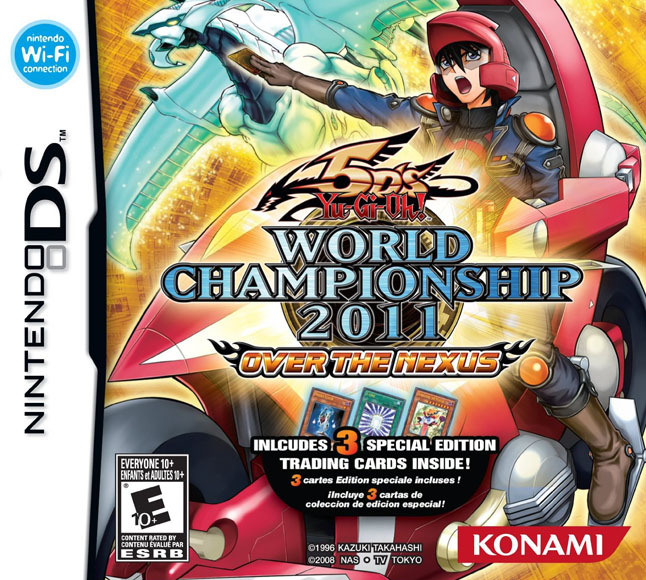 5D’s World Championship 2011: Over The Nexus, offering Wi-Fi gameplay and the ability for up to four players to duel offline. Yu-Gi-Oh! 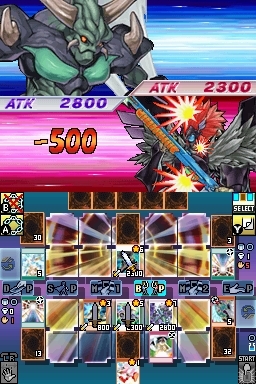 5D’s World Championship 2011: Over The Nexus features over 4200 cards for use in the game, and includes the new Storm of Ragnarok booster and the Lost Sanctuary structure deck. 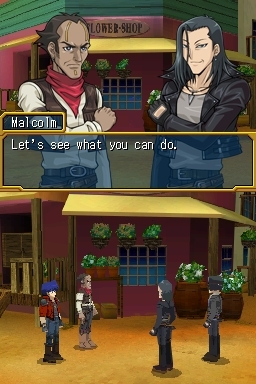 The game’s one-player story mode uses characters and situations from the TV show, and the in-game presentation has been streamlined with all-new dual-screen presentation to offer more information at a glance, while a new Duel Puzzle Editor allows users to create dueling situations that can be shared with duelists all over the world via Wi-Fi. 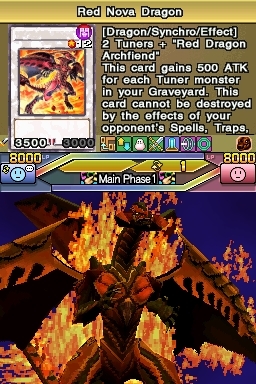 Every aspect of dueling is showcased in Yu-Gi-Oh! 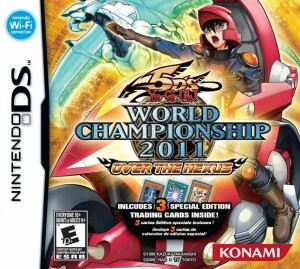 5D’s World Championship 2011: Over The Nexus, and it is the ultimate simulation of the ever-popular TRADING CARD GAME. Its many online options detail the social aspects of dueling, and the collectible nature of the various cards is also perfectly realized – even allowing players to get their decks rated, using given feedback to refine their cards. As has become traditional with KONAMI’s Yu-Gi-Oh! titles, Yu-Gi-Oh! 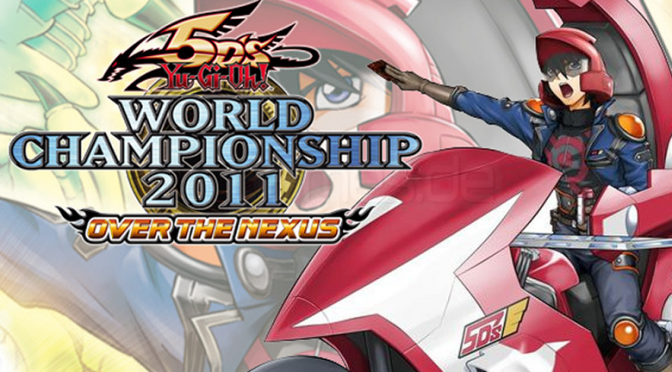 5D’s World Championship 2011: Over The Nexus will be released with three official Trading Cards inside the box. Look for even more Yu-Gi-Oh! 5D’s World Championship 2011: Over The Nexus details as they come in. Guest Game Reviews, coming soon. Includes cards from the latest booster packs.